Experience the most intuitive, immersive mixing workflows for modern sound engineers. The revolutionary Pro Tools | S6 modular control surface leverages the best of the industry-leading ICON and System 5 product families, providing superior ergonomics and intelligent studio control. S6 is built on proven technology, trusted by top audio professionals, so you can create the best sounding mixes possible—faster. Select from M40 and M10 pre-configured systems or build your own custom S6. Get a PDF of your system and we will send you an accurate quote back. How Big, How Many Faders? The S6 is unique in its modularity, you can build a system with as few as 8 faders or multi-operator versions that span the width of a large dubbing theater. And once you have installed S6 you can add to the system as your workflow demands more control. 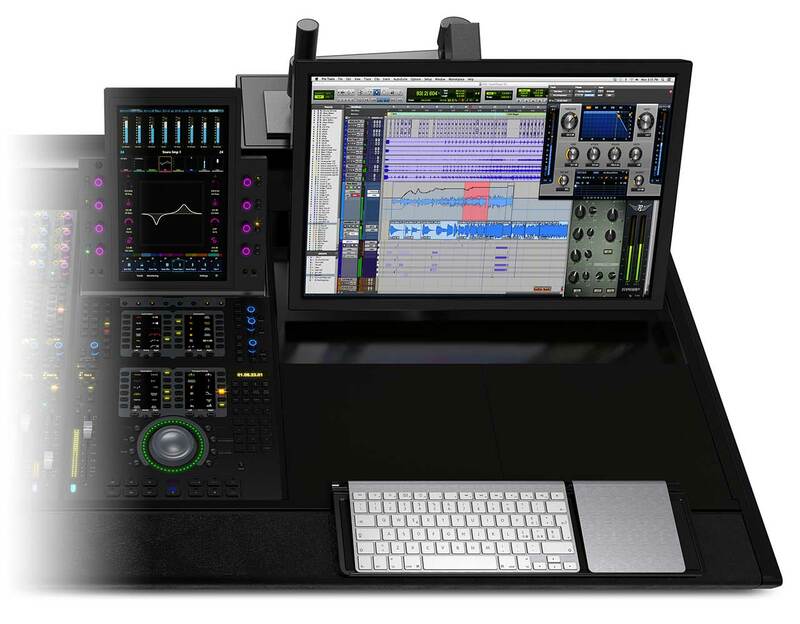 As an authorized Avid reseller, AID can help choose and build the right system for your workflow, integrating the S6 with Pro Tools and 3rd party interfaces, Dolby Atmos, outboard gear and monitor solutions. There are two system sizes that include different versions of the Master Touch Module (MTM). 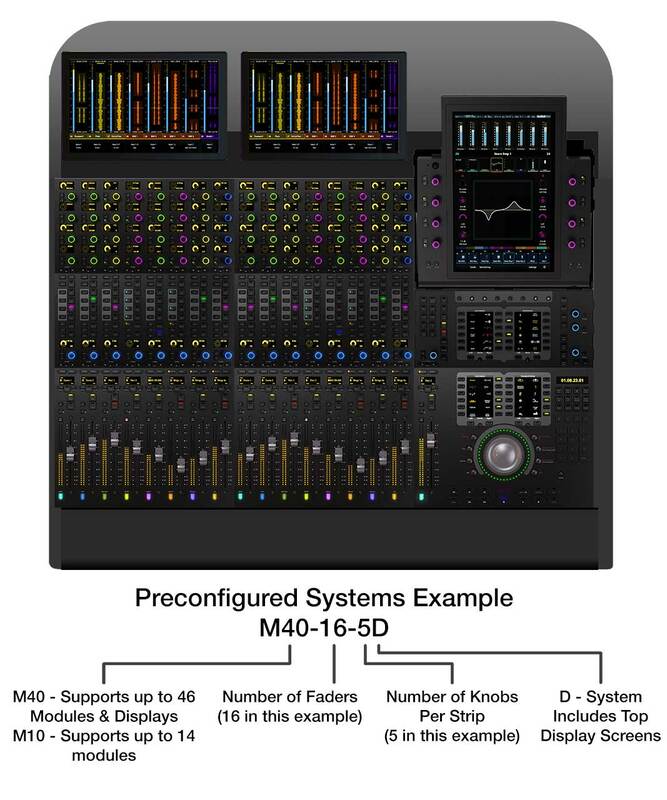 The M40 MTM can support up to 46 modules, the M10 up to 14. All other modules and functions are the same between the two systems. The availability of blank panels in custom systems means that you can use them to add your own custom hardware controls. These are the main S6 modules. The fader modules must sit at the bottom of the frame nearest the operator but the processor and knob modules can be placed in any order above the faders within the strip. All modules are 11.4″ (290mm) wide, 1 ft wide with the frame separator. The producer’s table is 2 ft wide. 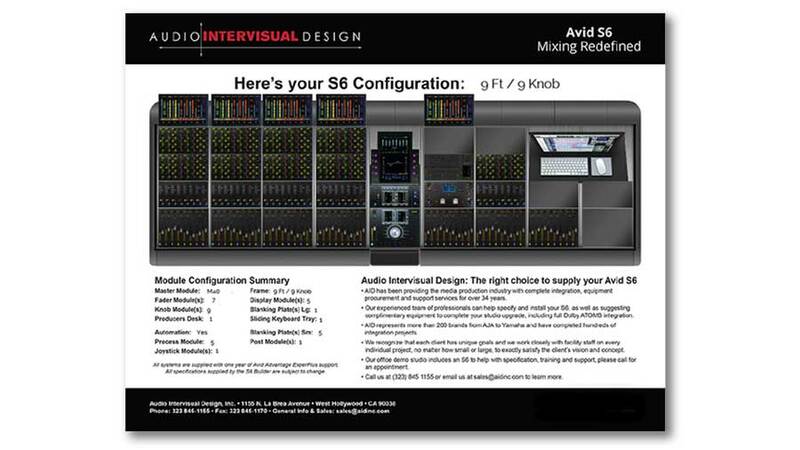 Click here for Avid’s S6 Dimension PDF. All preconfigured systems come with a frame that is full of modules. If you are building a custom system, 11 different size frames are available. 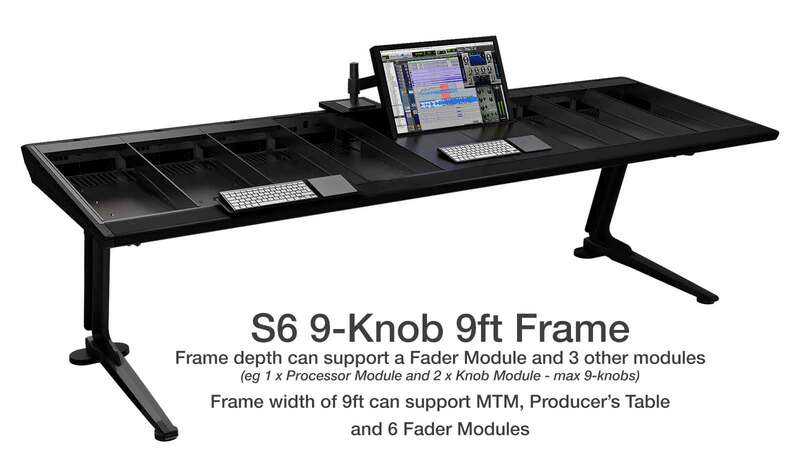 The MTM and each fader module are 1ft wide, the producer’s Table 2 ft wide.